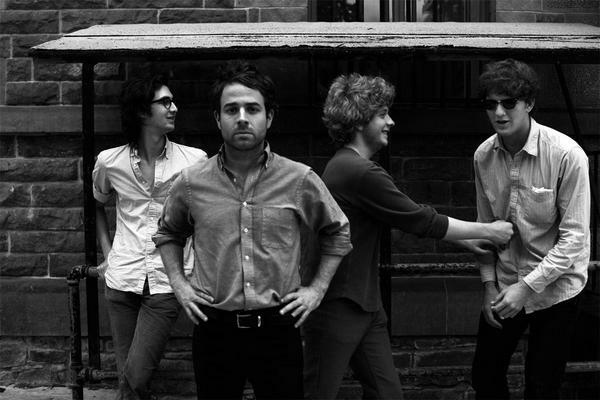 Awesome California folk rock band Dawes will take the stage at Le Poisson Rouge this Saturday, November 21. They released a terrific record, North Hills, earlier this year. If you don't already own it, check it out. In the meantime, to get you ready for the show this weekend, click HERE to head on over to Daytrotter and check out Dawes performing a wonderful version of "Love Is All I Am." If you're around on Saturday and want a show to check out, you'd do well with this one. They're on the bill with Langhorne Slim & April Smith & the Great Picture Show (I'm a big fan of her "Wow and Flutter" song) ... nice line-up.